Plot - A beautiful romantic English movie about a lady who doest not believe in love and all and a young man who falls for her. Tom who is an aspiring architect falls for a lady named summer who does not believe in true love. She has recently joined as a secretary to his boss and finds many common things between them and also that she is our of his league. All day he thinks of her and many of their likes are same. Tom is a believer of true love and finds her as a perfect soulmate. Resolute and undaunted by his strong connection and lover for her, Tom tries everything possible measures to seek after Summer and persuade her that his love is genuine and real. 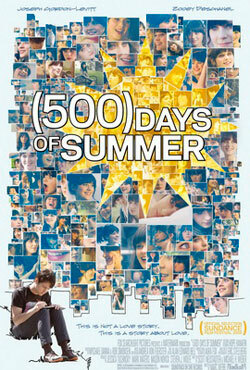 Awards & Nominations Won by "500 Days of Summer Movie"
Box Office Earning of "500 Days of Summer"